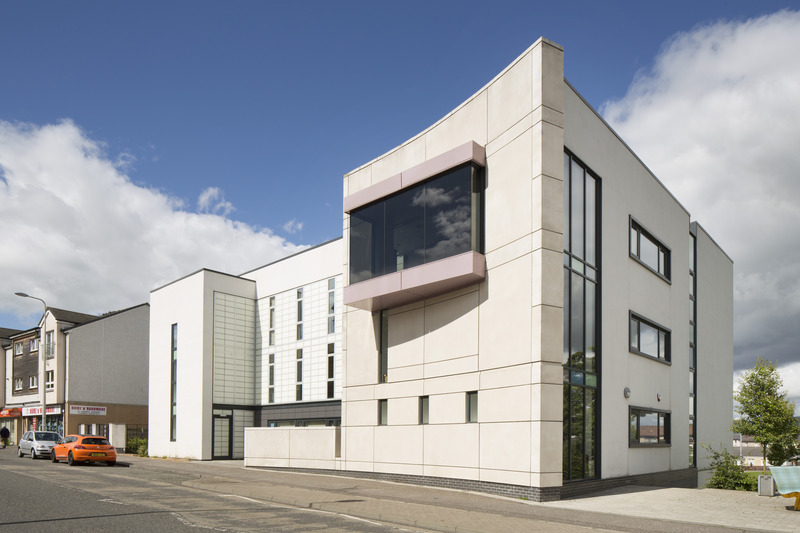 The Lochgelly Business Centre is a new build development designed as a ‘business incubator’ to accelerate the successful growth of entrepreneurial companies through the provision of an array of shared business support resources and services. With £1.75m from the Scottish Town Centre Regeneration Fund the brief was to provide an ‘iconic, sustainable, flexible, economic business incubator centre to attract new business into the area’. 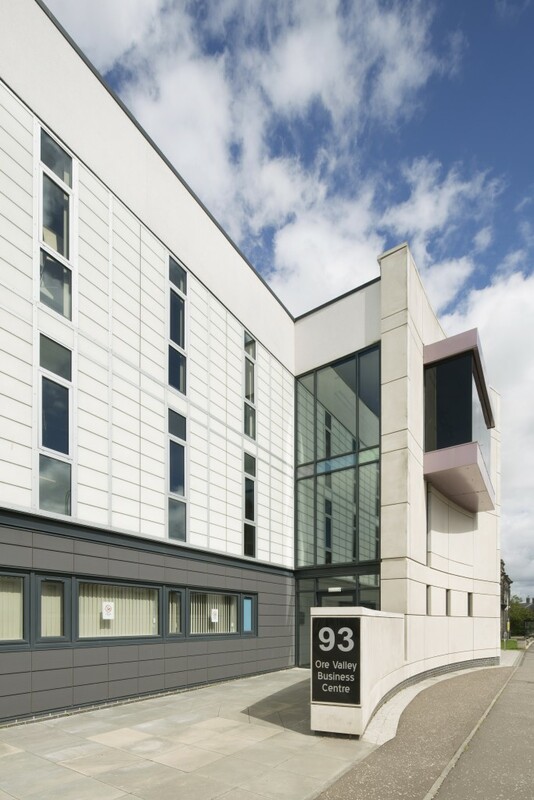 The ‘iconic’ element of the design was achieved by the sweeping entrance wall which allows the building to impose itself on the street frontage in a subtle and elegant manner. 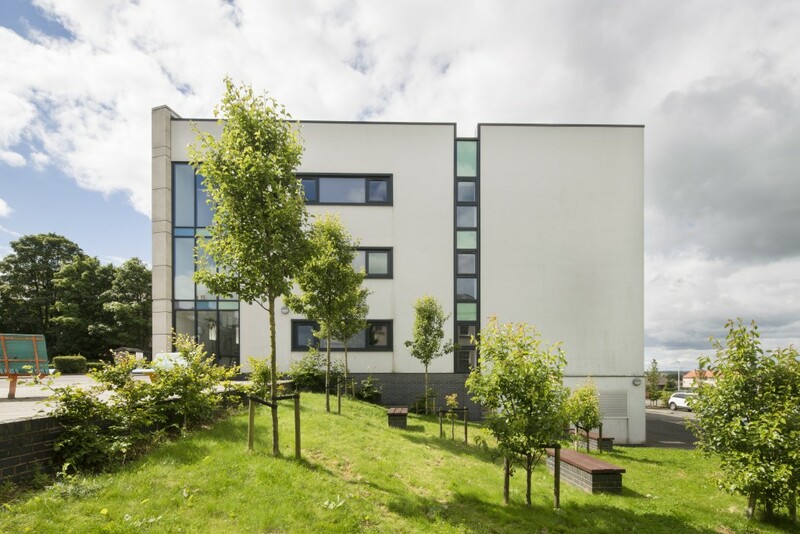 Sustainability was addressed through the incorporation of a ‘Termodeck’ system which enables natural ventilation through hollow-core slabs whilst providing a high mass to moderate changes in the building’s temperature. Internally this system is supported via a steel frame with movable partitions enabling businesses to expand and contract without having to move. The resulting development has been extremely successful. It is now home to 16 local businesses has in excess of 80 workers operating within it. 9 of the businesses within the building use the centre as their primary base of operations and 8 are new companies started by local residents. The centre has also helped spur further local economic activity beyond its walls as a number of the tenant businesses have linked with existing local suppliers and groups for mutual benefit. Highlighting this success, a number of prominent local public-focused events have been held in the centre including exhibitions, live national broadcasts and open meetings.